CSO Rehearsal for Russian Winter Festival. Front row (left to right): Karen Cowan, President; Linda Silverstein, Secretary; Judy Lynch. Back row: Penny Mong, Vice President; Doug Wilson; Brad Cowan; Betsy Owens; Terry Meyers. Not pictured: Cheryl Stagg, Treasurer. We are pleased to announce that the Delaware County District Library has won the 2018 Ohio Friends of the Library Recognition Award. This prestigious award recognizes an Ohio library friends group that performs imaginative and effective activities that increase community awareness of its library, support library programs, and promote the mission and core values of the library. COLUMBUS — The Ohio Library Council (OLC) continues its tradition of honoring the best and brightest individuals and organizations in the Ohio public library community. The 2018 honorees have demonstrated outstanding leadership and remarkable dedication to providing the best possible library service. They will be recognized at the OLC’s Awards and Honors Luncheon on Oct. 3 at the Kalahari Resort and Convention Center in Sandusky, Ohio. The following recipients were selected based on a comprehensive set of criteria and nominations from the public library community. The Friends of the Delaware County District Library took on a significant challenge in their area: how to call attention to their library in a county overshadowed by the rich cultural resources of the adjacent city of Columbus. They met this challenge by initiating an innovative collaboration with other regional non-profits, helping to “introduce the community to itself” through a shared flyer and website promoting the library as one of several cultural assets in the region. Beyond this project, they also developed partnerships with both non-profits and businesses in the area which have resulted in visits from nationally-known authors, a young writer’s conference, and literacy promotion beyond the library’s walls. 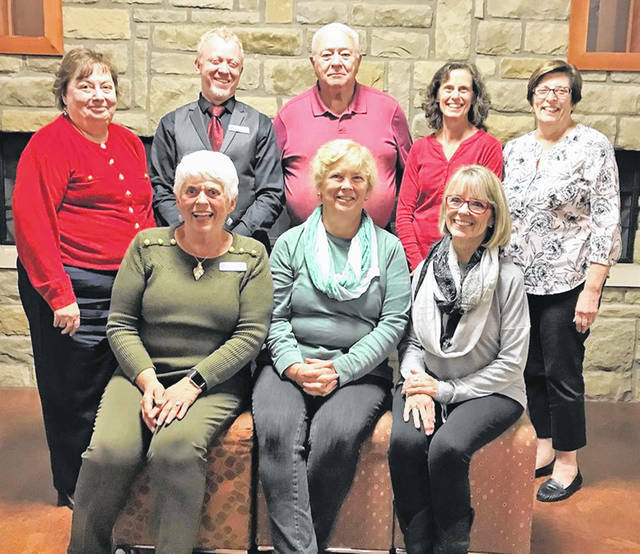 Through its active fundraising, the Friends of the Delaware County District Library has contributed more than $70,000 to support programs and purchases for the library, and fosters staff engagement through a mini-grants program open to all staff members who join the group. Their hard work and dedication is a model of what a Friends group can accomplish when it supports the library and reaches out into the community. Missy Lodge has been a facilitator and advocate for innovation and cooperation in Ohio libraries throughout her distinguished career. Lodge started her career at the Library of Congress and then returned to Ohio where she has served for the past 32 years at the State Library of Ohio (SLO). While coordinating and overseeing LSTA grants for the SLO, Lodge’s willingness to embrace the future, encourage innovation, and support risk taking has benefited libraries and library patrons. Her work administering funds from the Bill and Melinda Gates Foundation assisted large and small libraries in bridging the digital divide in their communities. Lodge has assisted librarians in applying for grant funds and encouraged and mentored them throughout the entire project, ensuring a positive outcome and helping Ohio to further stand out as a leader within the library profession. Her leadership has made many statewide collaborations possible and easier to achieve. Perhaps her greatest impact on the profession is her commitment to developing the next generation of library leaders through the Library Leadership Ohio Institute which ensures outstanding library services for all Ohioans for years to come. Ryan Burgess has been instrumental in identifying opportunities to engage public libraries in transforming Ohio’s workforce. He has worked tirelessly with the OLC staff and library directors throughout the state to determine how library programs and services align with the training needs of Ohio’s businesses. Often referring to libraries as “continuous learning centers,” Burgess has showcased public libraries as hubs for learning and advancement. He collaborated with the Governor’s Executive Workforce Board to integrate libraries into the board’s plan to prepare Ohioans for the jobs of today and tomorrow. By fostering collaboration with OhioMeansJobs centers around the state, Burgess has made it easier for job seekers to access a wide variety of employment and training services at their local library. He also contributed ideas for a statewide initiative to provide free online computer, technology and business courses through Lynda.com with an Ohio library card. By leveraging library resources and adding new services, Burgess has highlighted how public libraries are uniquely equipped to meet the workforce needs of their communities. His support and work have had a profound impact on public libraries throughout Ohio. Few candidates have met the “sustained commitment” requirement quite as fully as Michael Kilbourne, who has served on the Bexley Board of Trustees for 41 consecutive years, including eight years as Board President. His career spans a great number of library innovations, and Kilbourne repeatedly pushed for the library to stay ahead of current trends, leading the Board in supporting their system’s initial purchase of computers, automation of their ILS, and expansion of the AV department to include emerging technologies. Perhaps his strongest legacy of foresight and leadership, though, was his passion for learning and improvement. He consistently pushed the Board to support professional education for library staff, and encouraged both the staff and Board to take an active role in state and local organizations. Kilbourne’s career has included insightful leadership through numerous challenging situations such as a building fire, appealing PLF calculations, facility renovations and local tax levies, but his sustained commitment over the past four decades to addressing problems with an eye to the future is what has distinguished him among his peers. Because her job involves overseeing four branch locations, a mobile services department, and a busy technical services department, a typical day can find Andrea Legg doing everything from writing grants to facilitating a book club. Legg’s recent accomplishments impacting library service include the expansion of the Tuscarawas County Public Library’s Mobile Services Branch and serving as Chair of the 2017 One Book One Community Committee. Both illustrate her ability to create long-lasting community connections and ongoing partnerships. She spearheaded fundraising and wrote grants to ensure that 1600 students were able to receive a copy of Wonder, the One Book title. Her fundraising efforts allowed for a culminating event with speaker Sam Drazin, who was born with Treacher Collins Syndrome like Auggie in the book Wonder. The event drew a crowd of more than 1700 people. As head of technical services, Legg oversaw the cataloging and circulation of toys modified by the Board of Developmental Disabilities for families with special needs children. Under her leadership, the library’s mobile services has also expanded its reach through pop-up libraries, bringing library materials not only to schools but also to trailer parks, nursing homes, the Farmer’s Market, County Fair, and other community events. Linda Toohey gave up a career as a cosmetologist to jumpstart a stagnant outreach program at the Dover Public Library. She used her personal vehicle for the first two years, then applied for and received a grant from the Reeves Foundation to fund a library vehicle. Realizing early on that she could not manage a strong program alone, she “hired” and trained a volunteer team. Now known as the Book Buddies, they assist with delivering books and movies to homebound patrons. New to technology, Toohey taught herself how to use an iPad to track deliveries and learned PowerPoint so she could create her own programs, which are well researched and much appreciated by program participants. She took this knowledge and shared it with her patrons, teaching them how to use digital resources. In five short years, Toohey, now known around town, as “Library Linda,” has grown a small program with only 20 deliveries a week into a full-fledged Outreach Services Department that includes more than two hundred deliveries a month, and provides technology assistance and programming through a robust team of volunteers. Lynn Mercer has served the Muskingum County Library System for more than 38 years, and has either worked in or supervised nearly every department. Since 1995, she has directed the Human Resources Department, which she built from the ground up. Mercer has the unique ability to understand the challenges and opportunities inherent to each position in the library. As a result, staff members are confident that she will be compassionate and fair in dealing with their questions and concerns. Mercer has encouraged cross-training and professional development for staff, and spearheaded employee wellness and recognition programs. She has also built a strong relationship with the labor union, extending negotiations to every three years instead of two. In addition to exemplary service within her own library, Mercer actively seeks opportunities to make an impact on the library and HR communities. She also serves as the President of the Kate Love Simpson Library Board of Trustees in Morgan County and is a member of the OLC’s Board of Directors. Mercer is also the Secretary of the Muskingum Valley Human Resource Management Association, and a member of both the Society for Human Resource Management and the Ohio Public Employers Labor Relations Association. When Medina County District Library (MCDL) learned there were no GED testing centers in the entire county, requiring residents who had completed the GED requirements to travel to a testing center 45-60 minutes away, MCDL made a commitment to remove this barrier to completing the education process. MCDL already provided all of the resources to prepare someone to earn a high school equivalency certificate. Becoming a testing site, seemed like a logical solution and way to help Medina County residents complete the final step. However, this was not a simple process. The library had to meet a long list of staff and facility requirements ranging from parking to proctoring. Libraries are known for helping adults prepare for the GED, but there are very few public libraries in the United States that support the operation of a GED testing center. In 2017, MCDL became an official GED testing site and within the first year, the library offered six test dates and 34 test sessions were completed. With this new testing center, MCDL demonstrates the essential role public libraries can play in their communities. At a time when libraries face stiff competition for teen’s attention, Amanda Marquart figured out a way to reach and captivate the teens in her community. She has shown an incredible commitment to library innovation and outreach, always thinking of new ways to get people connected to the Greene County Public Library. In collaboration with middle school and high school teachers, Marquart offered creative programming such as escape rooms, gaming, and book club extensions at the schools and at the library, finding students where they are and engaging them in service activities through the library’s Teen Advisory Group. When the local high school was unable to offer the popular Pen Ohio program, Marquart immediately stepped in to run the program, and ultimately, lead her team to the state level of competition. Despite working part-time currently, Marquart has invested her time in the public library community and is an active member of YALSA, ALA and OLC. She is also President of the Southwestern Ohio Young Adult Materials Review Group. Her willingness to collaborate inside and outside the library demonstrates what librarianship can and should be. The Ohio Library Council is the statewide professional association which represents the interests of Ohio’s 251 public library systems, their trustees, Friends, and staffs. Columbus Symphony Seeks Original Compositions by Ohio Composers for SCORE WITH THE COLUMBUS SYMPHONY! 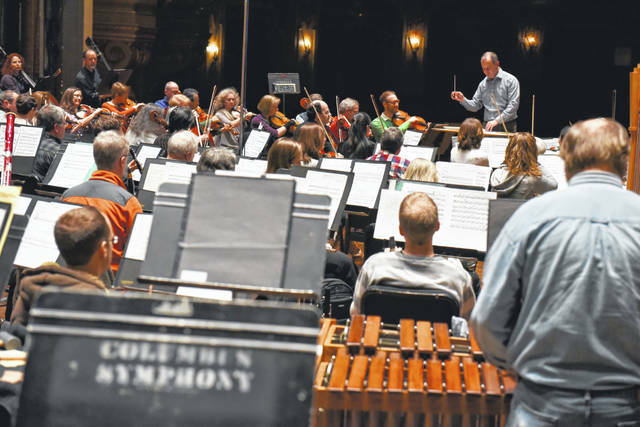 The Columbus Symphony, in collaboration with the Johnstone Fund for New Music, has launched an innovative new project to support and feature the compositional talent of Ohio—SCORE with the Columbus Symphony! Composers of any age that are from Ohio, current residents of Ohio, or current students in Ohio are invited to submit an original composition for consideration. Works selected for participation will be prepared by the Columbus Symphony in a private rehearsal on Tuesday, January 8, 2019, and then performed in a public rehearsal on Wednesday, January 9, 2019. Both sessions will be conducted by Music Director Rossen Milanov. Compositions must be submitted by September 15, 2018. Selected works will be announced on or about October 15, 2018. There is no fee to enter. Open to composers who are from Ohio, current residents of Ohio, or current students in Ohio. Concertos will not be considered. Length of submissions should not exceed 15 minutes. Composer attendance at both rehearsals is required. Recordings of submitted scores are encouraged (midi realizations are acceptable). Submitted scores will not be returned. The number of works selected is at the discretion of the adjudicators. All decisions by the adjudicators are final. Selection announcement: on or around October 15, 2018. Any additional questions regarding submission requirements, can be directed to Coordinator Michael Rene Torres at torresmr282@gmail.com. For more information, visit www.columbussymphony.com or www.facebook.com/johnstonefund. The 2018-19 season is made possible in part by state tax dollars allocated by the Ohio Legislature to the Ohio Arts Council (OAC). The OAC is a state agency that funds and supports quality arts experiences to strengthen Ohio communities culturally, educationally, and economically. The CSO also appreciates the support of the Greater Columbus Arts Council, supporting the city’s artists and arts organizations since 1973, and the Robert W. Stevenson, Preston Davis, and Kenneth L. Coe and Jack Barrow funds of The Columbus Foundation, assisting donors and others in strengthening our community for the benefit of all its citizens. Kate O’Neill does not work for, consult, own shares in or receive funding from any company or organization that would benefit from this article, and has disclosed no relevant affiliations beyond their academic appointment. Andrea Roberts does not work for, consult, own shares in or receive funding from any company or organization that would benefit from this article, and has disclosed no relevant affiliations beyond their academic appointment. When archaeologists discovered the intact skeletons of 15,000 free and enslaved Africans at a construction site in lower Manhattan in 1991, the federal government – which planned to build an office building on the site – conferred with African-American communities, scholars and activists. Together, they signed an agreement to halt construction, rebury the bodies and establish a national monument on the site. If the cemetery is more than 50 years old and abandoned, the Texas Historical Commission takes jurisdiction over the site. It must consult with the dead’s next of kin, and can require exhumation to be conducted by non-invasive means, using ground-penetrating radar. So the National Historic Preservation Act – which requires local officials to consult with the state and other “interested parties,” including the descendants of prison laborers throughout Texas – was not triggered. Texas is among the fastest-growing states in the country. With little to no regulatory constraints, suburban developments – many named after plantation owners – have proliferated in major metro areas. The Southern convict-leasing system, which some historians consider have called “slavery by another name,” was laid bare for the world – and relatives of the dead – to see. In the months since the discovery, Sugar Land has begun consulting with outside groups, including Moore and his Convict Leasing and Labor Project, on the process of interment and memorializing the bodies. Of the 114 previously non-mapped Texas freedom colonies my team has so far identified, for example, 21 are in high-risk locations near Texas’ fast-growing Dallas-Fort Worth, Houston, San Antonio or Austin metro areas. The United States was built with black labor. As its population inexorably expands, city planners must look beyond the law – to technology, cultural practice, community and history – to reconcile preservation with growth.